Tim just returned from a trip to the region of Tabora in western Tanzania; he was accompanied by four other missionaries and the District Superintendent of Tabora, Sadok. They traveled throughout the region; visiting pastors and churches, and encouraging them in their efforts to win the lost in their region. 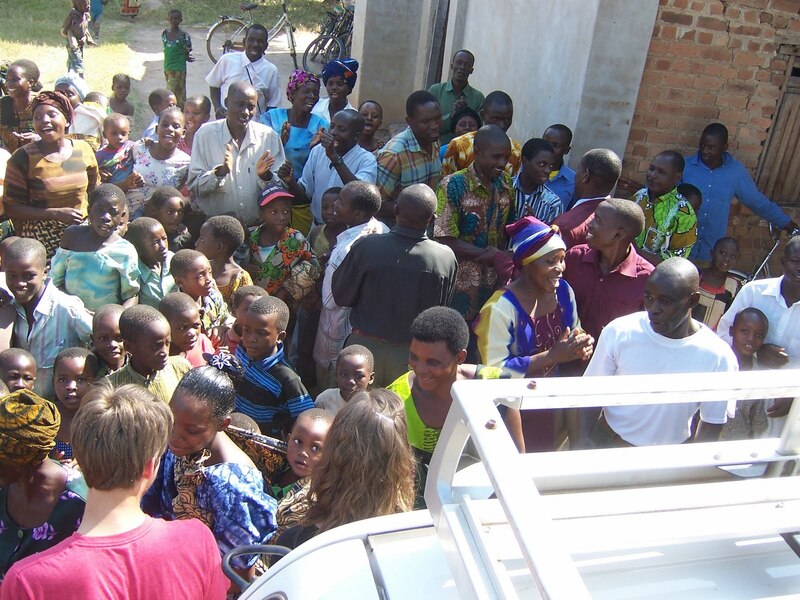 They were received with great joy and celebration as they traveled around and every place they stopped wanted to prepare a meal for them. They ate enough plates of rice and other foods to feed a small army. Tanzanians are very gracious and hospitable and providing a meal for their guests is considered an honor for them even if it takes food away from their own families. 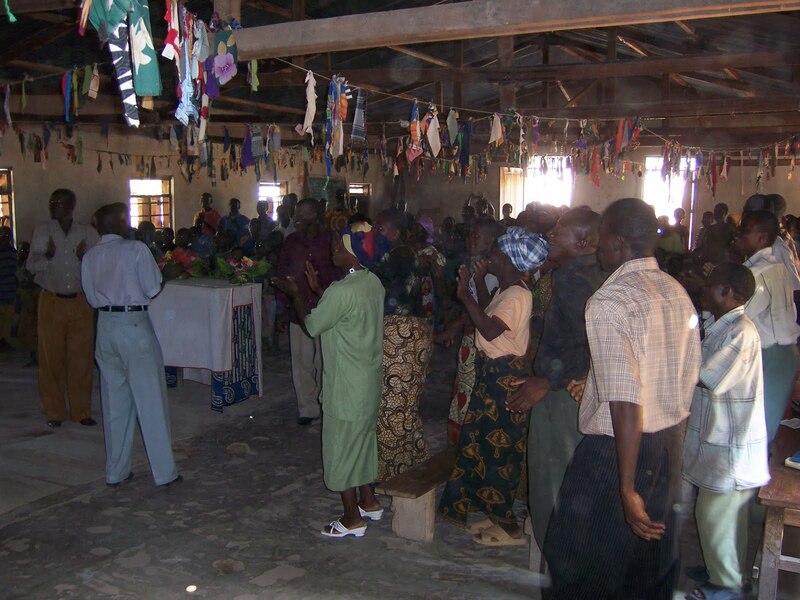 Here is a picture of the people celebrating Tim and the team’s arrival and the inside of the church decorated with small brightly colored squares of cloth.